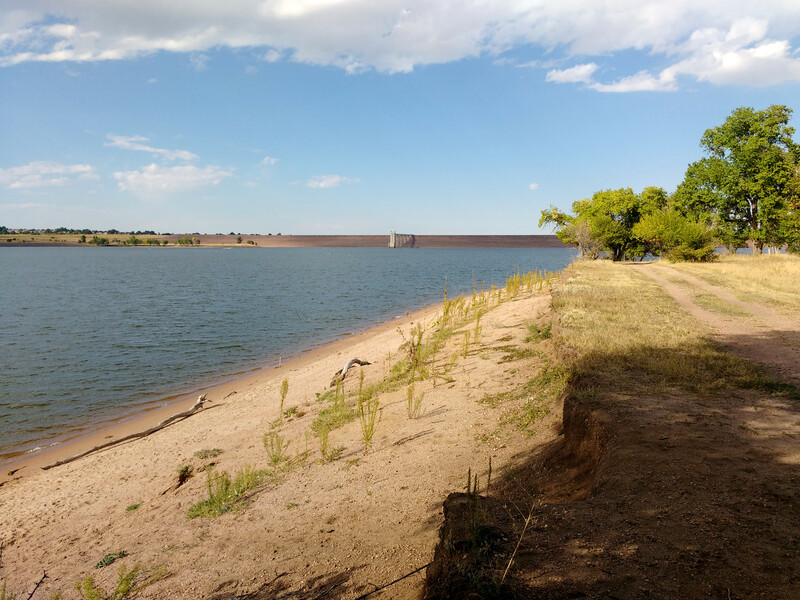 Free high resolution photo of the sandy shore at Chatfield Reservoir (also known as Chatfield Lake) in Littleton, Colorado. This picture shows some driftwood at the edge of the water, and a sandy bank. You can see some erosion from recent flooding, as well as some trees on the shore. In the distance you can also see Chatfield dam with the intake tower or valve gate attached to the center of the dam by a service bridge. Chatfield is a flood control dam build to protect the city of Denver from flooding on the South Platte river. Free picture for any use.